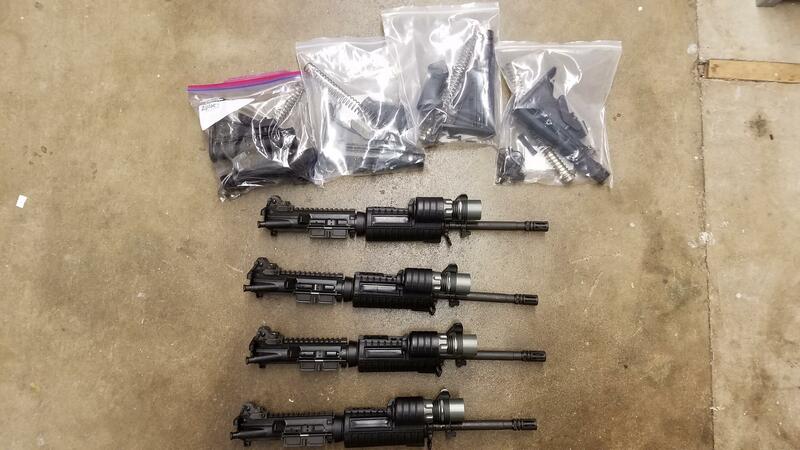 We have 4 Bushmaster M-16 parts kits with complete uppers for sale. Kits will come with everything needed to put on to your registered lower receiver and start shooting. 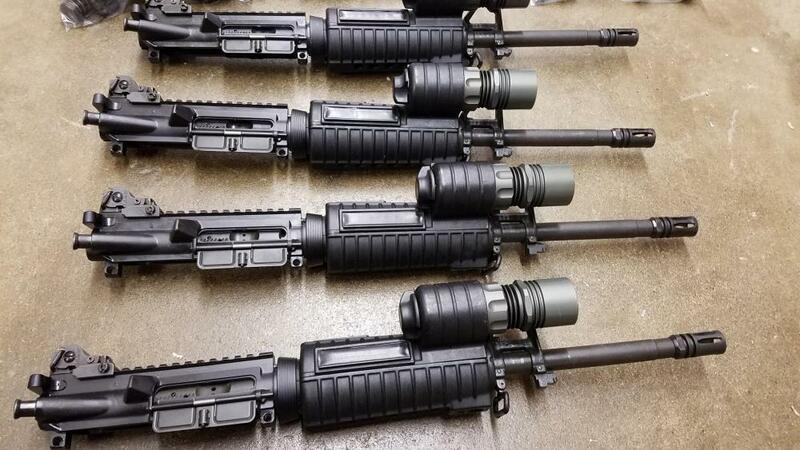 Barrels are chrome lined 14" 1/9 twist, and all uppers will have an A.R.M.S #40 flip up sight. 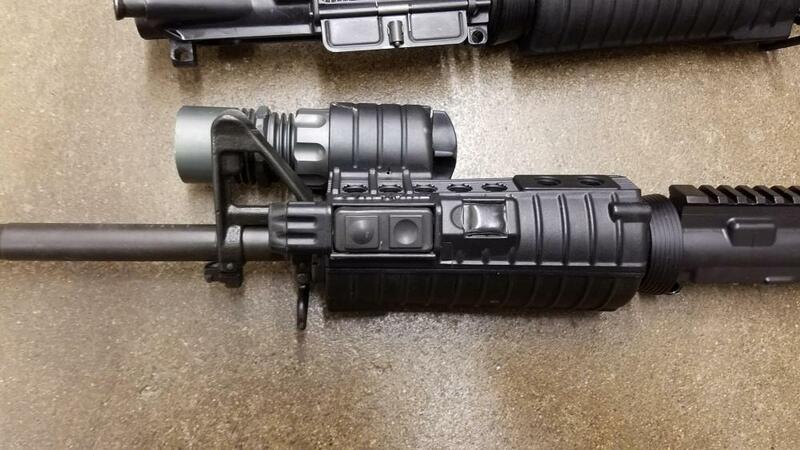 All uppers will also have surefire M500A hand guards. All items appear to be in good useable condition. Price is 650.00- SOLD! !